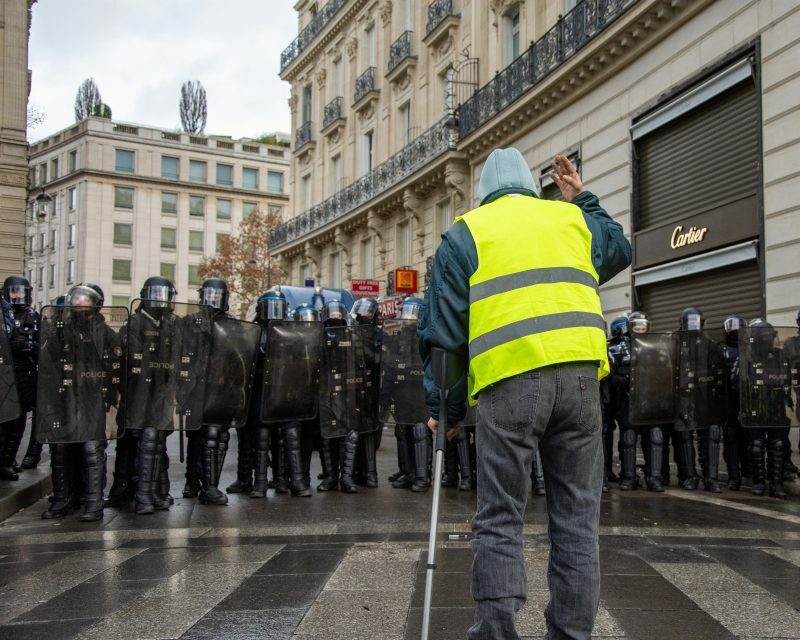 The Gilet Jaune protests in France are a visible – and violent – symbol of a general malaise that has spread to many Western democracies: a gulf of understanding between governing elites and disaffected voters. Many outside of France have characterised this organic street movement as fundamentally anti-environmental, a popular rejection of French President Macron’s climate and green energy policies. But, as the protests enter their 20th consecutive week of action, it's becoming increasing clear that this is a fundamental misunderstanding of the causes of public anger. 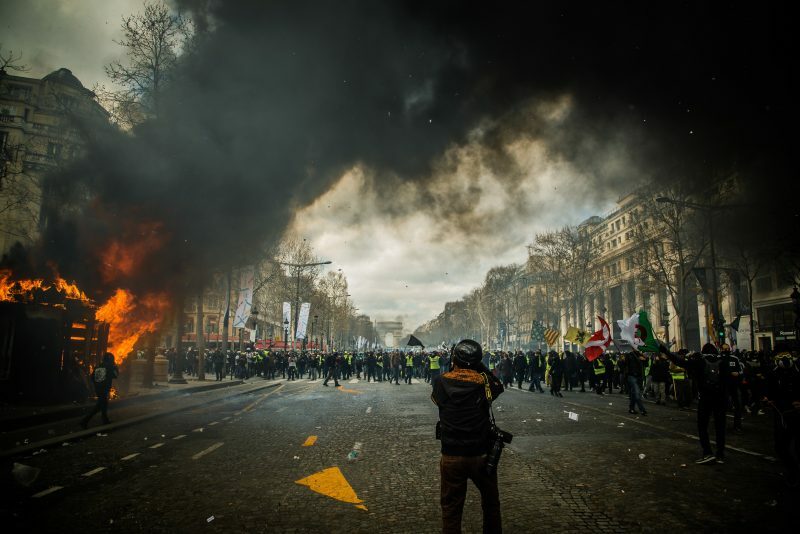 It’s true that two of the triggers that sparked the initial protests back in November 2018 were a proposed increase in fuel tax, and a new lower speed limit on motorways – both presented by the Macron government as necessary measures for France’s “ecological transition”. A narrative quickly took hold in the press that painted the movement as reactionary rural bumpkins, addicted to fossil fuels and fast driving. In this context, a flat fuel tax overwhelmingly hurts struggling middle & lower classes in rural areas, while the benefits of lower air pollution would mainly be felt by city-dwellers. The majority of gilet jaunes protestors come from a world of insecure employment, rural poverty, and increasing inequality. It’s not hard to see why the fuel tax became the straw which broke the camel’s back. At its core, the gilet jaunes movement is not a rejection of green policies per se, but a rejection of economic inequality, between rich & poor, urban & rural, globalised cities vs marginalised regions. They are deeply engaged with climate change and environmental protection, but ask the question – forcefully, repeatedly, and entirely reasonably – that since it is the high-carbon lifestyles of the rich elites that are creating the problem, why should the costs of climate action fall mostly on the poor? The gilets jaunes protestors are a powerful symbol of why social justice must always be at the heart of environmental justice. Green policies must also address equality – or they will be rejected. We call it “Green Must Be Fair”, and it’s been a central plank of our work on the green economy since our inception. Indeed, the protests have continued long after Macron abandoned the planned fuel price hike back in December. Social and economic justice remain core issues, with calls for better care for the elderly, stronger rent controls, an increased minimum wage and state pension, and a maximum salary cap of €15,000 per month – well above the total annual minimum wage earned by many in the movement. Another key GJ demand is for a ‘Référendum d’initiative citoyenne’ (RIC) – a mechanism by which laws can be proposed by the public for consideration in the National Assembly. In response, Macron launched a grand “national conversation”, a months-long open-source deliberative democracy platform which allowed citizens to organise local meetings to raise issues & discuss whatever they like, with their grievances recorded and relayed to the government.